by Carmen Stitt, PhD and Kiersten Brockman, M.A. 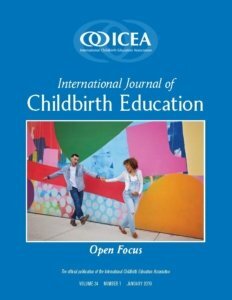 Abstract: The purpose of this article is to report findings of an online experiment that examined the impact of women reading information about midwife and doula services on their beliefs about the importance having this information. Compared to a control group, women had more positive attitudes toward the importance of having midwife information and believed it to be relatively easier to find information about doulas in the future. Women’s intentions to search for this information and actual behavior 30 days following the study were correlated. Implications are proposed for childbirth educators who contribute to the goals of Healthy People 2020.